Good Music, Bad music, ugly music. Sometimes music brings the sounds that we remember in the past. Weather we choice bring back memories we had in the past or we just choice to live in the moment with the sweet Melody. The problem is we have artistes today who can’t write a song for themselves, they need people to write songs for them or they pay PR to come up with good lyrics. 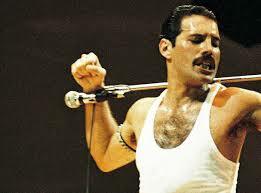 Freddie Mercury was only one singer and writer and he won millions. He did not need any writers. Most singers which people listen to is rather a wasted generation. Beyonce is a person that just wants more power and more money. This is one thing I don’t want to support someone is acting so retarded and just plain stupid. Miley cryus, another little child who went from sweet hanna montana to cheap plastic pimped whore. Again more attention, why Is it that they need this for? There people behind the curtains that are pulling strings. Good music I listen to is old artistes like The Carpenters, Joan Baez, Johnny Cash, Elvis Presley, The Who. you don’t need fame to make yourself look important , someday it won’t be worth anything. Katey perry, (God help me) this chick can’t write music, worshipping Illuminati and garbage that does not exist. But I rather not look at her. Note: please do understand fame gets into their heads and makes them stupid. I rather not buy anything from them. I listen to Johnny cash so much even he makes sense in his lyrics about how famous people are really small. (The song is called “I talk to Jesus everyday). And most of all I don’t watch them on TV. I ain’t no nice guy.